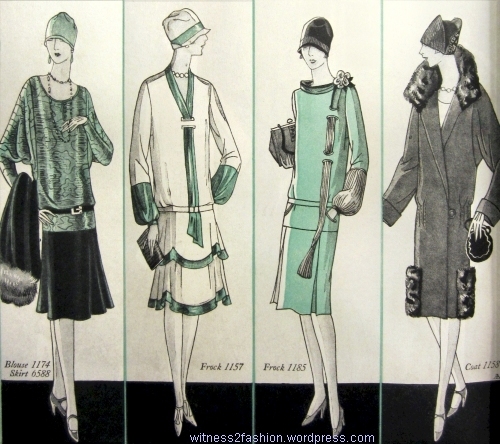 Four Butterick designs from December 1926. Delineator, page. 43. 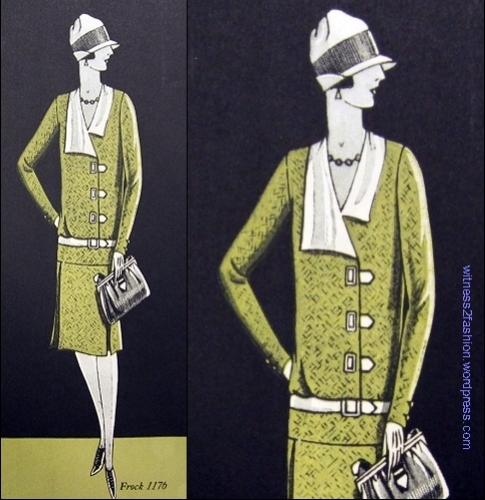 I love the art deco “arrow” trim on the dress at center left, and the asymmetry on the dress at center right (it’s not a suit). 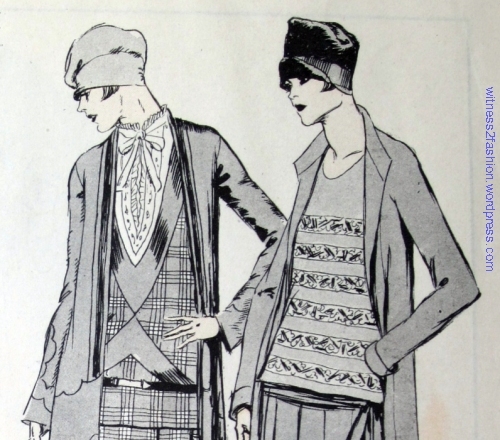 Both are chic and probably influenced by Gabrielle Chanel, whose jersey tweed outfits were making news. 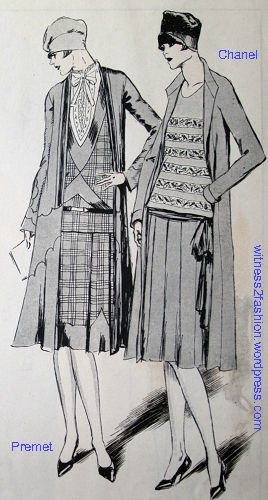 She was also using pleats in 1925 – 1926. 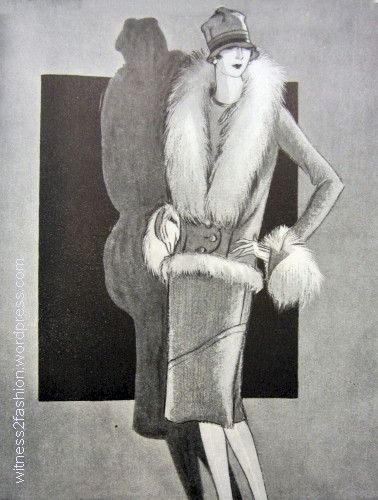 “Sports Frock” by Chanel, illustrated by Soulie in Delineator, January 1925. 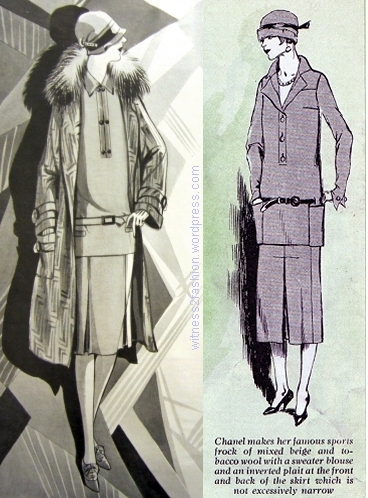 On the right, a Chanel ensemble from July 1926, drawn by Soulie for Delinator magazine. The ensemble on the left is by Premet. 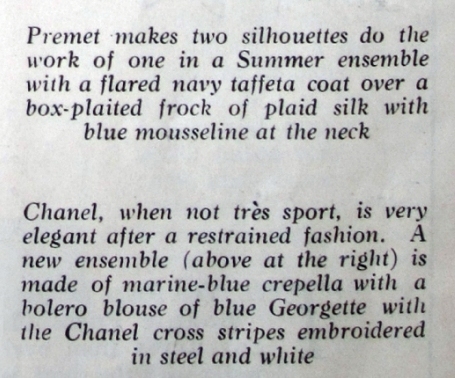 Text describing the ensembles by Premet and Chanel. 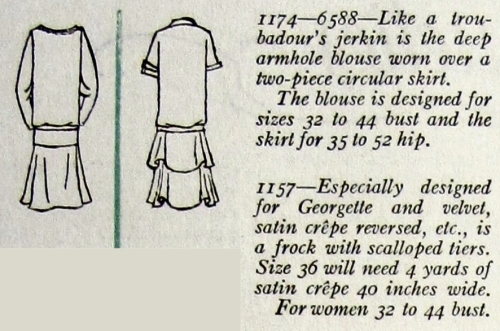 Delineator, July 1926. 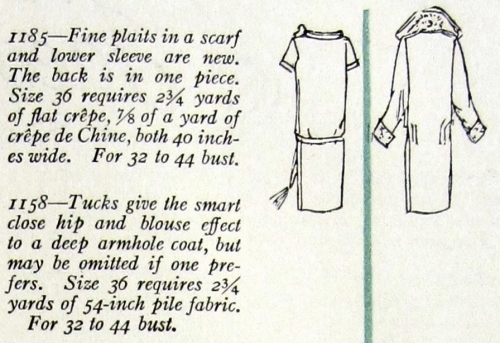 Butterick’s pattern illustrators also put their models in hats that resemble the ones shown with the Paris fashions. 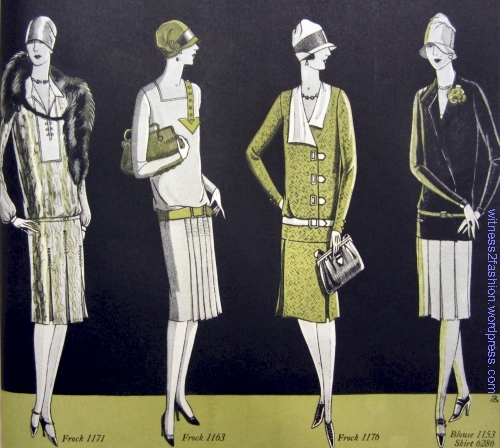 Hats shown with Premet and Chanel fashions in July, 1926. Delineator. 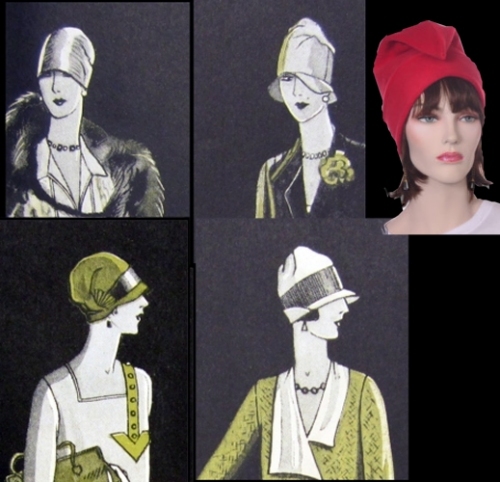 Phrygian caps influence cloche hats; Delineator, 1926. The color image is from Etsy. The top of the hat can be flipped to any side. 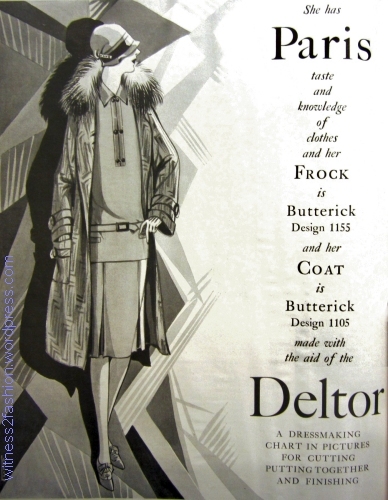 Butterick pattern 1163, Delineator, December 1926. 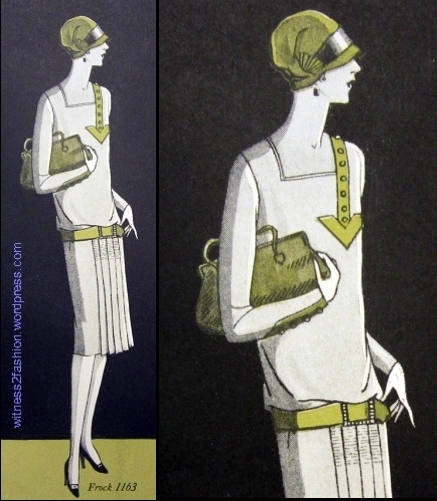 Butterick pattern 1176, Delineator, December 1926. Back when I had a sewing machine that didn’t do buttonholes (it was straight stitch only!) I would have been attracted to this dress because all the closures could be done with snaps. 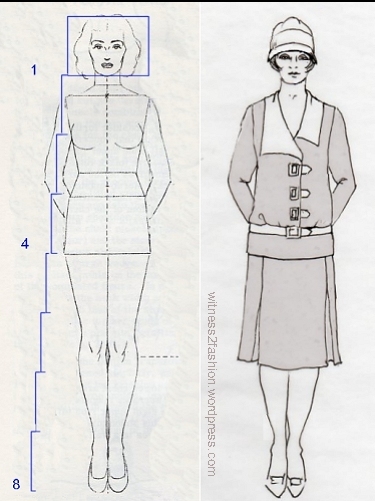 An eight head figure, and Butterick 1176 as it might look on a living person. In the illustration from Jack Hamm’s book Drawing the Head and Figure, which I have modified to show the “heads” as a unit of measurement, there are four “heads” from crown to bottom of the torso and four “heads” from there to the ground. The heel — supporting weight — is at 7 1/2 heads. 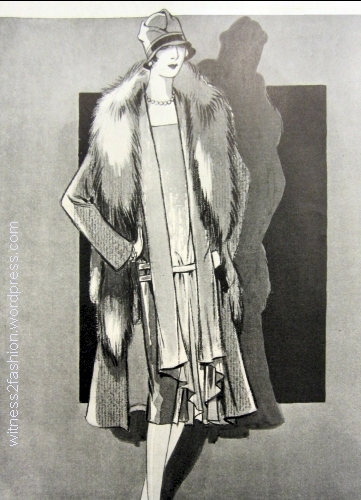 A cutter/draper working from the original fashion illustration would have to work from a few fixed points, as I did: the longer lapel comes to about the bust point (scroll down to see); the bottom of the “jacket” probably stops at the top of the thigh, or it will crease when she sits. (The button tabs ought to have been scaled down on my sketch.) I personally believe that costume sketches should be drawn on an eight head figure, so the director and actors — and the costume shop — will have a more truthful idea of what the design will look like on a normal human being. It’s cheaper to solve problems on paper than in fabric. Butterick 1176 as it might look on a normal body.